The rat, love it or loathe it, has a distinct movie persona, a top reputation for intelligent scavenging, and is a good pet. Researchers have now given it an almost human character. If your neighbour is trapped, you tend to give a bit of help where you can and this apparently applies to the rat species. Placed next to a plastic trap with a door, neighbours helped a trapped rat by nudging the door. They had to learn the difficult task but could become very accomplished. This is regarded as pro-social helping behaviour, hinted at in some previous experiments on mice but doubted by researchers in non-primates. Jean Decety, the Irving B. Harris Professor in Psychology and Psychiatry, Inbal Ben-Ami Bartal, a graduate student in psychology and the lead study author, and Peggy Mason, Professor in Neurobiology participated in writing the paper for the journal Science. They have extended the evolutionary roots of this "sociability" to rodents by designing a deliberately simple experiment on emotional contagion, the simplest form of empathy. However the free rat learned over a period of five days that it could open the door and would perform this help immediately. This is far superior to simple empathy. Active helping behaviour is very human in its application. The researchers now looked at motivations. Chocolate and a stuffed toy rat were used as well as the "prisoner" being released into a separate compartment. In the latter case, the free rat continued to nudge the door, implying that it wasn't motivated by social interaction. Chocaholics will be amazed to hear that free rats were just as likely to release their neighbour first as to open a container full of chocolate chips. "That was very compelling," said Professor Mason. "It said to us that essentially helping their cage-mate is on a par with chocolate. He can hog the entire chocolate stash if he wanted to, and he does not. We were shocked!" 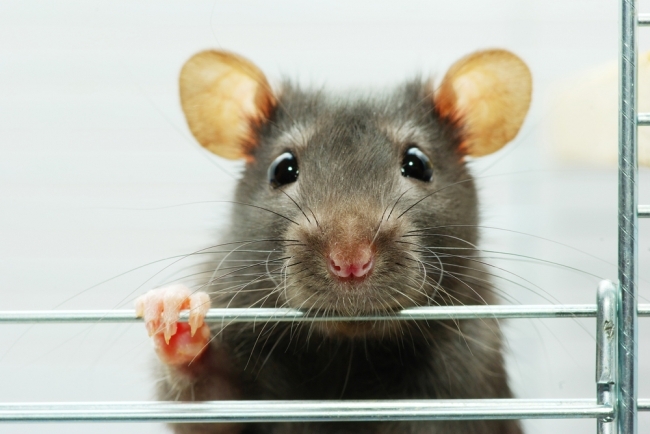 Although imagination will encourage all of us to think of other choices for the rats, the scientists have already spotted the sexist jokes coming. Females indeed tend to open the door more readily, while not every rat does learn to open the door. It would be just my luck to have a partner who couldn't open doors but kept all the chocolate for himself! Peggy Mason had the final word on her own species. She related, "When we act without empathy we are acting against our biological inheritance," Mason said. "If humans would listen and act on their biological inheritance more often, we'd be better off."